FLOWTECH understands that when you purchase a set of headers, a muffler, or even an entire exhaust system, you want to know that you're getting everything you need to complete the installation. 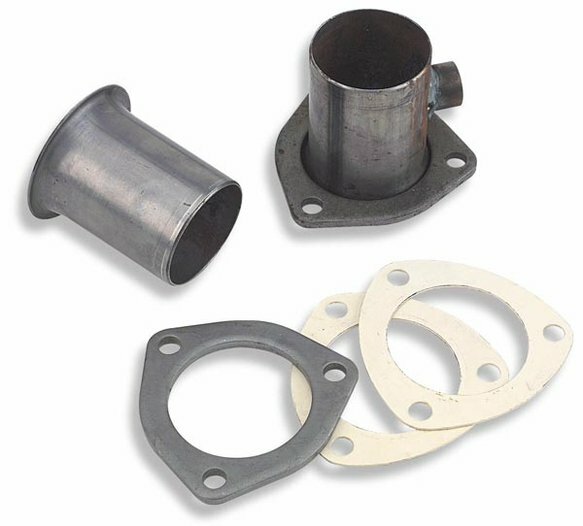 That's why we pride ourselves on our installation kits, which include all the gaskets, hardware, and fasteners necessary to hook up your headers, mufflers and/or tailpipes or sidemounts in minutes. But what happens when you're doing a custom installation, or if you want to do a show-quality job with no compromise in quality, fit or finish? The answer is a complete line of reducers, brackets, and emissions accessories, all precision-engineered by FLOWTECH. These installation accessories will turn your FLOWTECH system header installation into a work of art that looks as good as it sounds and performs.